China is redefining its universities, and, as a result, changing the landscape of International Higher Ed. Indeed, this is early days, and most Chinese universities are still very traditional. But the game is changing, and it's time to pay heed. This seemingly unquenchable desire for foreign education came handy when the student numbers in the UK shrunk at the wake of immigration regime change under Theresa May's stewardship in 2011: As the Indian and African students melted away, the Chinese students more than made up for the decline, and the student numbers from China doubled over the five year period from 2011 to 2016. It seemed like the Chinese are loving the British Higher Education even more, and prodigally producing 'the best and the brightest' students that the Cameron administration wanted to bring to Britain. What went unnoticed in this euphoria is that the Chinese Higher Education was evolving, and fast. The growth in numbers is perhaps the most obvious aspect - a jump from roughly 25 million students to 40 million students in Higher Education within a decade - but the new confidence and strategic pursuit of partnerships are also evident now. It is no longer any university that Chinese institutions are interested in: They are looking for only the world-class ones, and are far more conscious about their strategic priorities and alignments than they have ever been. 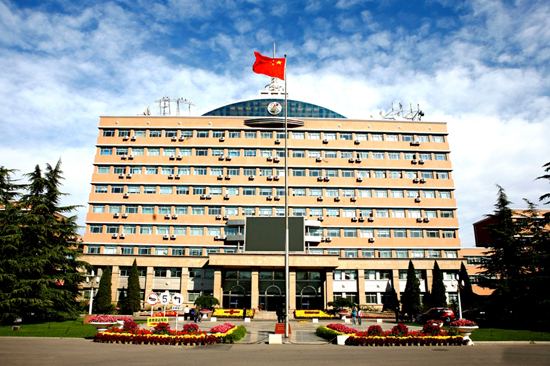 And, the new confidence is also showing in other areas: The Chinese institutions are internationalising curriculum not just by importing certification, but by affecting change from inside; they are head-hunting researchers and university administrators by paying them a premium; and they are actively making their classrooms international, by attracting students from all over the world. Thus far, International Higher Education was a field limited to a few European and North American countries, and Australia. Most students went to these four or five countries, with United States getting a lion's share, because of the sheer size and the diversity of its Higher Education system. The other countries, UK, Australia, Canada, set up a game of musical chairs between themselves, alternating their student visa regimes from soft to hard, going up and down the league tables. Indeed, there were others: Soviet Russia attracted medical and engineering students, but that ended as the state imploded; the French attracted the students from former colonies, Spain got them from all over Latin America though Brazilians went to Portugal. Netherlands and Germany were also attractive for students coming from countries such as Turkey, who already had a large diaspora in the respective countries. With gradual restrictions being introduced on student movements by the leading Higher Ed destinations like UK and Australia, particularly from 2008, the landscapes were changing. Places like Malaysia and Mauritius built themselves up as regional hubs, but not so much by creating an indigenous system, but rather through liberal regulatory regimes that allowed foreign providers to set up institutions, or partnerships with local institutions, there. The strategy worked and these countries emerged as Regional Hubs for Higher Education, catering to the needs of poorer students and nearby countries. These, as well as various institutional experimentation with Online Higher Ed, were not game changers, but rather an extension of existing system of Global Higher Education. But not so with China, which has the sheer scale, ambition and imagination to change the landscape altogether. There are important constraints - the restrictions on freedom of expression are significant constraints for building a world-class humanities education - but the Chinese Higher Ed offers an eclectic mix of Western and Eastern Higher Education, in which the standards are increasingly set in China. The structure of Chinese Higher Ed remains long and tedious, a legacy of thousands of years which may not be shaken away easily, but, on the other hand, many Asian and African students may be perfectly at home with this. And, Mandarin is a challenge and an opportunity, particularly for a young man or woman growing up in the Chinese sphere of influence, which is more or less everywhere except the North Atlantic. What should India learn from this? Indeed, India's Higher Education system, though large, is not really comparable to China's, in terms of ambition or sophistication. Higher Ed in India consists of mostly small, private institutions dependent on teaching revenues, and instead of expanding, India is currently reducing its capacity. It is also parochial and less engaged with the Global Higher Ed conversations than the Chinese are. Shaped by a generation of thinking about Labour Arbitrage in the IT services industry, Indians have, mistakenly, taken that as a general principle of organising all the sectors of life, including Education and Health: Headhunting high calibre researchers from Western Institutions would be unthinkable in India, as would be the creation of an alternative model of International Higher Education. Indian institutions want to bring foreign students as they pay more, not because they introduce an element of diversity in the classroom that Indian institutions need. India's research culture, despite its impressive achievements in many technology areas, is largely confined to a few government laboratories, and educational institutions are not a part of it: Indian academia is rather enthusiastically involved in the sham Conference culture (events organised around the world allowing the academics to claim travel money and take holidays) and in producing meaningless journals to maintain the appearance of academic activity. India is, in a sense, caught between Mauritius and China - too proud to give up the claim of distinctiveness, but not ambitious enough to come up its own agenda. But India can and should learn, as it competes for influence in the region. Chinese Higher Ed is an integral part of Chinese soft power strategy, and increasingly, with its research capability, a part of its hard power too. Successive Indian governments have looked enviously at China's record of dramatically improving its infrastructure, and drawn the lesson that a modicum of authoritarianism is good for development. One would hope that with the emergence of Chinese Higher Ed from the shadows would now focus minds in India, and a recognition that a globally engaged and globally competitive Higher Education is an integral part of a 'big nation' strategy would mean a reorientation of policy priorities in Delhi.